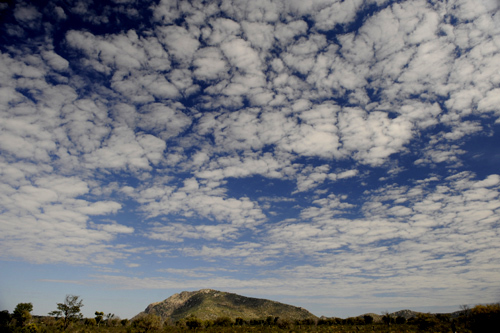 These four quartz encrusted hills rise up out of the Kalahari Desert in the northwest corner of Botswana, Tsodilo is a place of special significance to the San people who have been living here for thousands of years. They believe the hills are a resting place for the spirits of the deceased and that their various gods live in caverns. The Harnbukushu, who also live in the area, believe the hills are where God lowered man to earth. 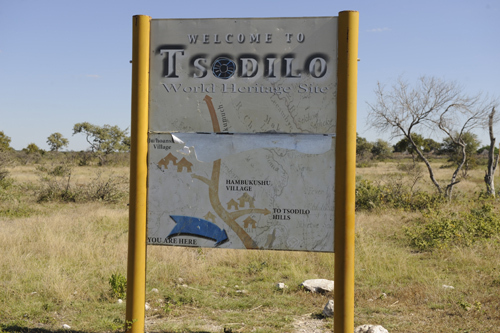 Getting to Tsodilo Hills is not that simple, the road to the hills has not been paved, partly because of the remoteness of the area and partly the local beliefs surrounding them, you can only get there is a 4 wheel drive vehicle, you take the road from Maun (go south 405km) or Ghanzi (go north 537km) to Shakawe this is a deserted tar road in decent condition. 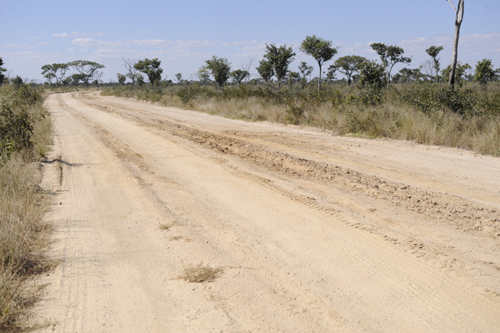 Just south of Shakawe (80km) is a small turning to Tsodilo, from here on it is a sandy gravel track, if there has been any rain (rare in this area) the road gets very tricky. It is possible to make a day visit from Shakawe to the hills but still in a 4wd. The only way to really experience the full wonder of Tsodilo is to stay there for a night but there is no accommodation in this area apart from camping, and it is bring all your own gear bush camping, there is nothing for sale nearby so you must bring EVERYTHING but it is worthwhile as by staying there you will have an amazing experience.